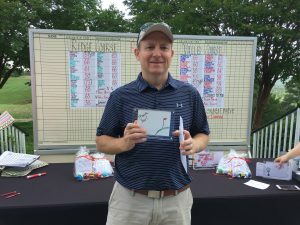 Ronald McDonald House Charities of Alabama (RMHCA) is thrilled to share that our 17th Annual Ronald McDonald Golf Classic raised $61,000 to fund our mission! 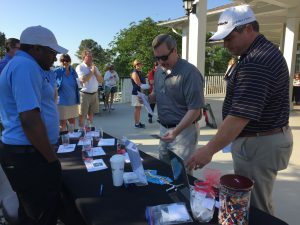 Monday, May 7 was a beautiful, sunny day for the scramble-style golf classic at Robert Trent Jones Oxmoor Valley. 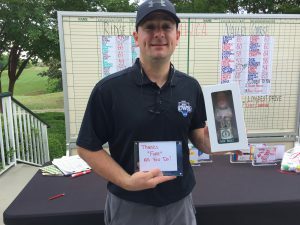 Twenty-eight teams comprising 112 golfers took off for the links bright and early at 9 a.m. after enjoying breakfast provided by McDonald’s and Royal Cup. 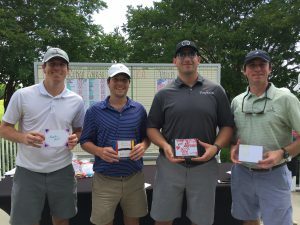 In addition to competing for the best round, golfers had a chance to enter a raffle and poker run. 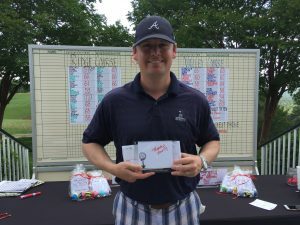 After play, the golfers reconvened at the Oxmoor Valley clubhouse for a barbecue lunch from Jim ‘N Nicks and our awards ceremony. 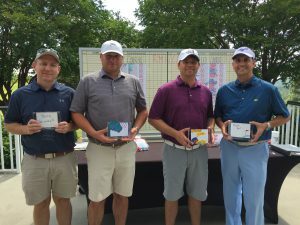 As always, our award plaques were received well! The cards are handmade by RMHCA families. 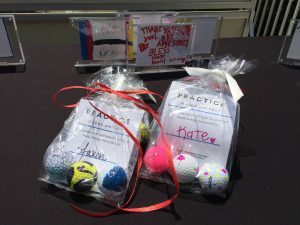 And we had a special prize this year for our last place teams to help motivate them in their practice rounds: a set of golf balls decorated by RMHCA kids. 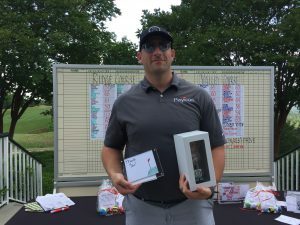 Jason Wilks was the lucky Poker winner and he took home $200! 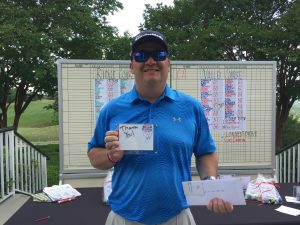 Winston Wilks came out on top in the Putting Contest and also took home $200. 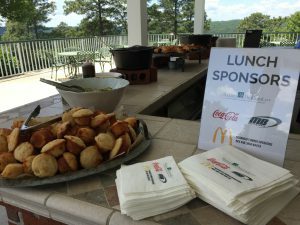 RMHCA would like to thank all our partners for making this event a success: Dr Pepper, Regions Bank, Hudson Company, AmWins, American Cast Iron and Pipe, BB&T, BlueCross BlueShield of Alabama, Coca-Cola, EBSCO Industries, Eskridge and White, Fairway Investments, Haynes Downard, Highland Commercial Mortgage, HK International, JCR Recycling, Keystone Foods, Loomis, Logista, Martin-Brower, McDonald’s Atlanta, Medical Properties Trust, MidSouth Baking, Renasant Bank, Restaurant Technologies, Inc., Royal Cup, Rick and Linda Walter, Scott Services, SS Nesbitt, Southern Company, The Pickett Family, United Johnson Brothers of Alabama, WJOX, Wallace, Jordan, Ratliff and Brandt, LLC. 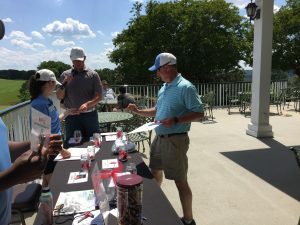 RMHCA also share our gratitude to all the wonderful volunteers who helped the event go smoothly; Jim ‘N Nicks for a great lunch and to the Oxmoor Valley for hosting us. 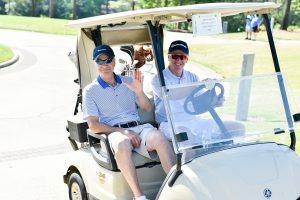 If you missed the fun this year but want to join in 2019, please contact Special Events Manager Katie Hannah at 205-638-7264.